These are the “dualities” of energetic complementarians — Yin/Yang, Plus/Minus, Male/Female, Hot/Cold, Night/Day, Sun/Moon and so on. In Episode 4 I was introduced to the amazing work of Richart Cassaro, who is the author of two books that explore deep connections between secret societies and ancient civilizations. 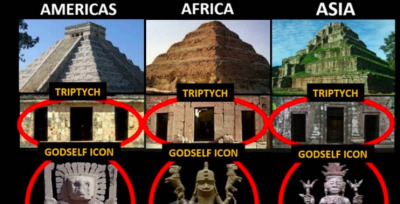 Written In Stone: Decoding The Secret Masonic Religion Hidden In Gothic Cathedrals And World Architecture gives the best account available in print about how religion began and how struggles over the meaning of spirituality shaped the world we live in today. I also cover this in a book now available on Amazon.